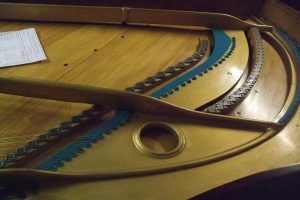 We have new pictures from Courtney Pianos of the Bechstein piano under restoration. 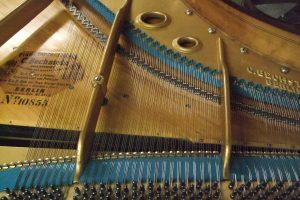 These show the cleaned frame back in the repolished piano body and the “Bechstein Blue” felts which were a Bechstein trademark. 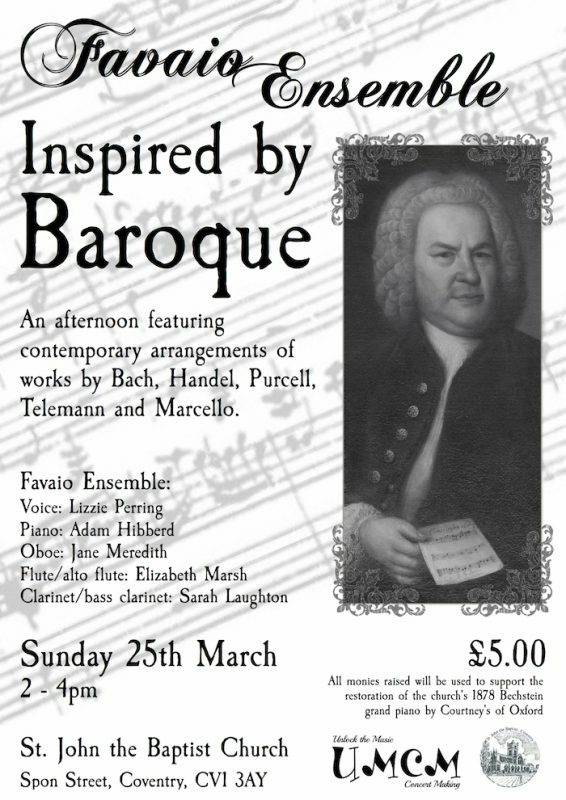 We enjoyed a lovely treat last Sunday with a performance by the wonderful Favaio Baroque, the beautiful sounds of Baroque era music sounding perfect in this sandstone church with its high vaulted ceiling. 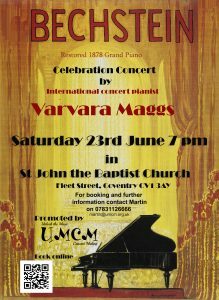 Not only that but also the concert raised nearly £200 towards the Bechstein piano appeal and celebration concert. Thank you everyone at Favaio for the funds raised and the lovely music.